These types of magnetic head rollers substitute the rollers placed at the head of the conveyor belt. This system extracts ferrous particles from the product that is passing along the conveyor belt, takes them under the roller, where they fall off and are collected in a container. If the transmission of movement is to be done by chains, the rollers must be appropriately protected by a fixed mechanism in the structure of the machine. The recommended working temperature is between 0ºC and 40ºC, and a maximum of 80% relative humidity. For working operations in which materials have a high temperature, it is necessary to let them cool down first. In order to obtain a perfect functioning, it is important for the path of the material to be separated to be continuous and for it to be correctly distributed along the conveyor belt. Do not hesitate to ask us for more information. 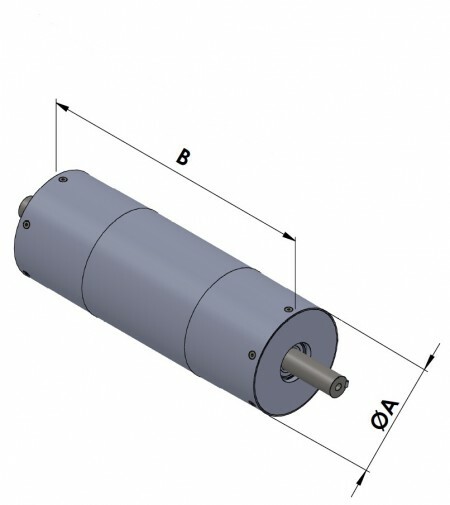 This type of magnetic rollers are maintenance free and do not precise power supply. The chart below shows our standard range measurements. To special order, we can supply special dimensions and/or specifications depending on particular needs. The following table gives the measures of our standard program. Also, on special request, we can realize them in size and / or special requirements, depending on your particular needs. * On request, can be supplied in any other dimension. Neodymium Magnetic Rollers extracts ferrous particles from the product that is passing along the conveyor belt, takes them under the roller, where they fall off and are collected in a container.